Below are recent updates made in between official releases. 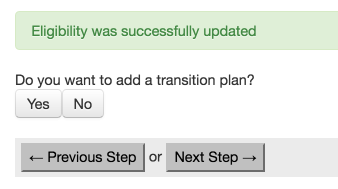 As always, if you have any questions about a feature, please contact your Implementation Manager or Customer Support. [Enhancement] ISI: Course Request Meta Data is now live! You can create Custom Reports and Form Letters with any combination of Course Request information you wish. [Enhancement] ISI: No Shows: The “no show” process under Enrollment has been updated to better meet state reporting needs. Addition of ‘created on’ and 'updated on’ logging fields. [Enhancement] ISI: Edit course part # has been released for both transfer and non-transfer grades. [Enhancement] ISI: Short Term Substitute- Users can now create a “Short Term Substitute” permission in ISI and limit sub use to Attendance. Nothing has changed for long term/traditional sub rights in the system, but it’s now easier to have day-to-day subs access only the most necessary parts of the system on a temporary basis. The feature also works great for situations where in-school teachers need to sub for other teachers on the fly and only need access to take attendance. For more information, see the Help document here. [Enhancement] ISE: Ever wondered who published an IEP? No need to wonder anymore, because with any IEPs published as of 5.23.16, this will now show! Note: Any IEPs published BEFORE 5.23.16 will state "Unknown". [Enhancement] DnA: Improvements to the Assessment Enter/Edit page. 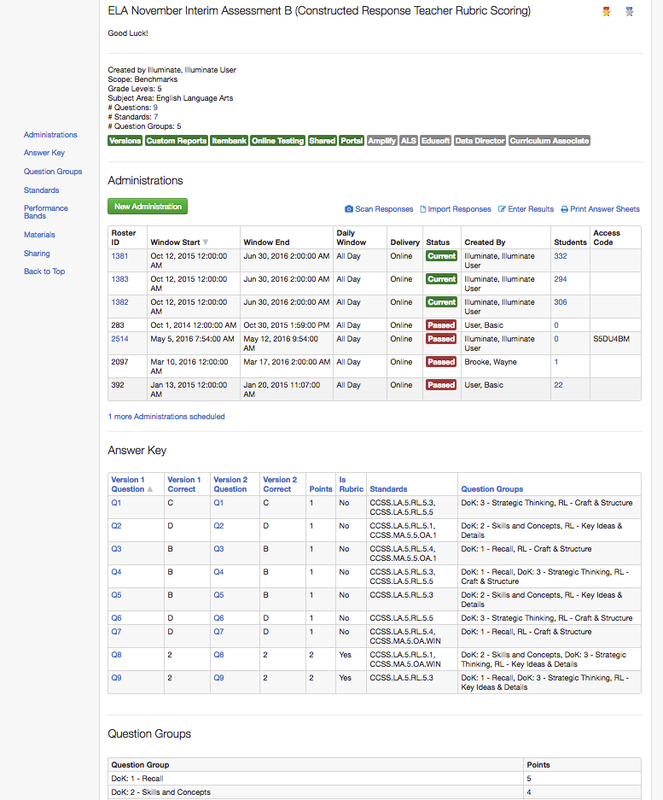 We wanted to make manual data entry in Assessments much easier and intuitive. The default landing page is now the GRID. 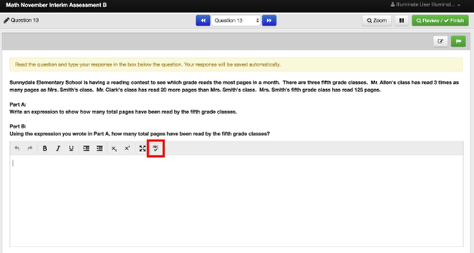 The sub-navigation has been simplified to “By Grid,” “By Student,” and “By Question". You can filter for CR questions on the "By Question" page. You can also filter for CR questions on the GRID. For more information see the Help documents in the Student Response Data manual. 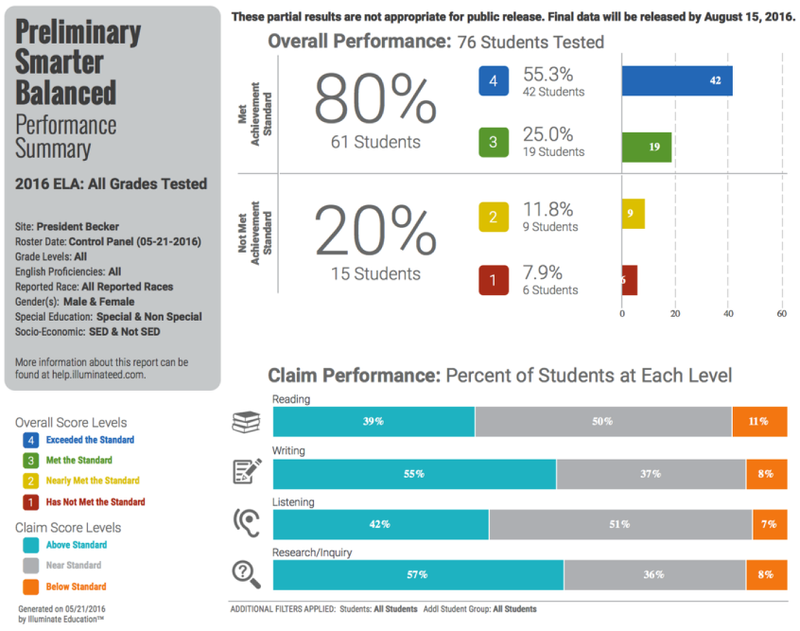 [New Reports] New Preliminary 2015-2016 SBA Performance Summary, Student Roster & Student Summary Reports. 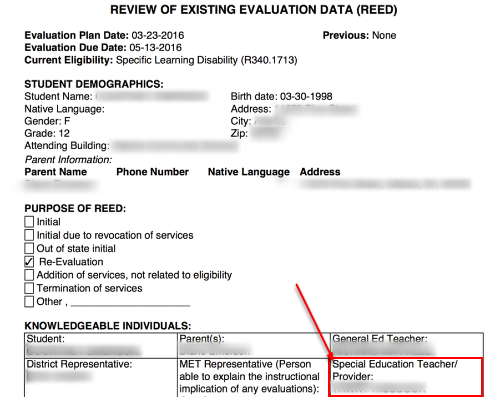 [Enhancement] ISE: ISE for State of Washington: Added State Student ID number to IEP PDF. [Enhancement] DnA: Assessment Details Page- This page got a major facelift! For more information on this feature, see the Help document here. [Enahncement] DnA: Online Testing- We've added a Spell Check feature for Online Testing. Like other accommodations, you turn this on for the roster under Testing Tools. You can turn it on for the entire test or respect the item-level permissions. Students should see a “ABC” check on their toolbar if it’s been correctly configured. [Enhancement] DnA: Summary Assessments/Demographics- Added HandsOnTable to Summary Assessments/Custom Demographics. It’s a grid that allows a user to quickly and easily enter data for multiple columns and multiple students all at once. We wanted it to be easier for users entering data into our Summary Assessments/Custom demographics, so we implemented the grid via HandsOnTable. This adds functionality similar to Excel–including dragging down values, tabbing, and autosaving. [Enhancement] ISI: GPA Calculations: Users can now “bump” a student’s GPA post-calculation for AP courses. This meets some grading practices stemming out of the “Huntington Method”. Users wanting to use this calculation bump will need to reach out to their IMs so that it can be activated in their system. [Fix] ISI: GPA Calculations- A fix now ensures that a student's GPA shows the same in a mass transcript, as well as the ranking when using the same calculation. [Enhancement] ISE: The ability to a Transition Plan within the IFSP Process for a child no longer eligible has been released. Note: This will not affect any OPEN IFSPs. [Fix] ISE: The Special Education Teacher now displays when printing the REED. [Fix] Medicaid Import. The import will now take seconds versus an hour or longer. 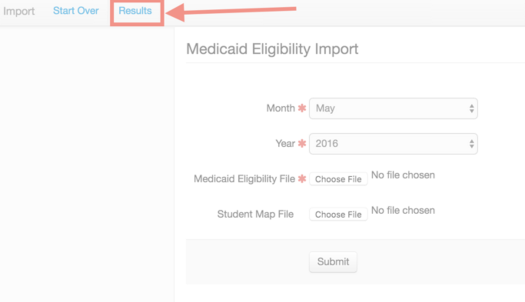 In addition, there is now a Results Tab within the Medicaid Eligibility Import Page to view the results of the import. [Fix] ISE Group Encounters: The Fill All is now working for all columns within group encounters. [Enhancement] Student Demographics- Transgender Student Fields- This allows clients to capture the preferred name and gender for transgender students. 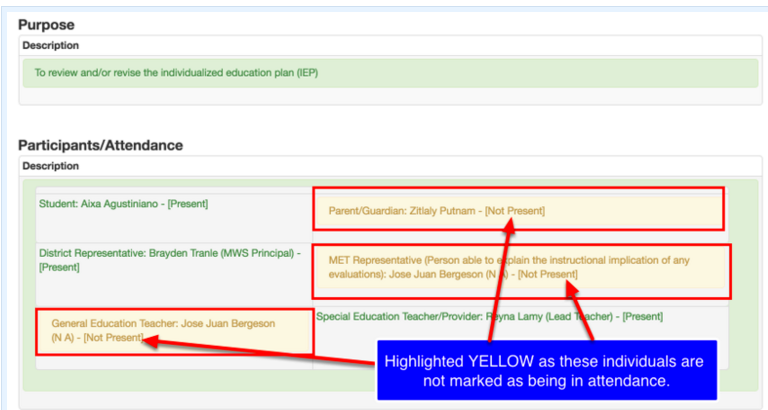 Illuminate can now display the preferred name on local records (transcripts, rosters, etc. ), but we must report the legal name to the state. This is a permission based feature: "View Reported Name and Gender Fields" & "Modify Reported Name and Gender Fields". These fields can be added via Custom Student Demographics. 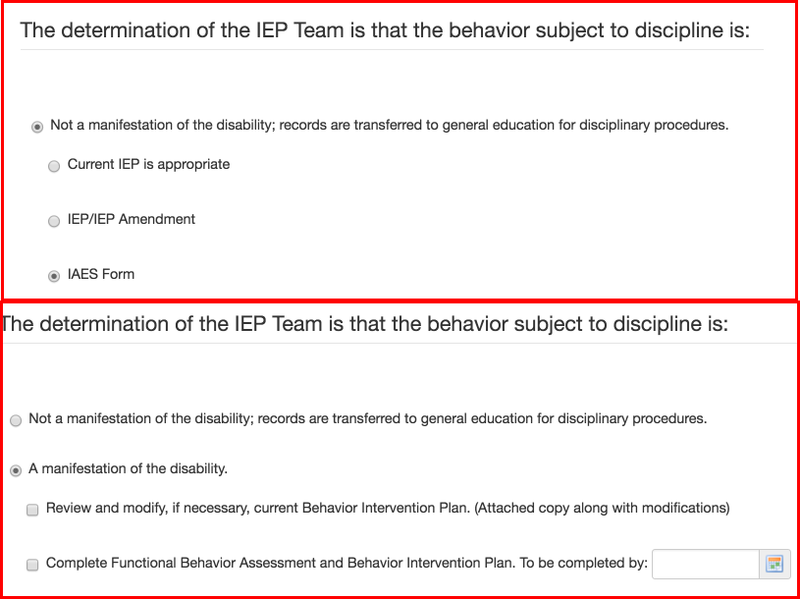 [Change] ISE: ADDED to the Manifestation Determination Page within the MDR Process,"Current IEP is Appropriate" to the options available WHEN it is found that it is not a manifestation of the student's disability. REMOVED from the Manifestation Determination Page within the MDR Process, "Schedule meeting to change placement as part of modified Behavior Intervention Plan." option WHEN "A manifestation of the disability" is selected.